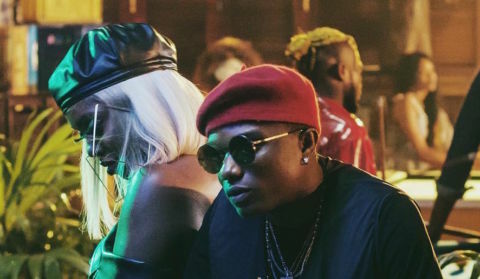 Almost everyone is talking about the nature of the relationship between Tiwa Savage and Wizkid. There has been wide spread speculation that the two singers are dating, and according to Kimora, Tiwa Savage is the one doing the most. Kimora Nelson, an up and coming singer who has ‘Queen of Afro-pop’ on her Instagram bio, shared a video on the social media platform, raising questions about the nature of the relationship between Wizkid and Tiwa Savage. The singer who seems to have her eyes on the ‘Afro-pop Queen’ title which Tiwa Savage is famed for, accused the Mavin Records songstress of forcing herself on Wizkid.